In 1917, the Besford Court Home and Farm Colony was established at Besford Court, a large country mansion near Defford, south Worcestershire. On 20th April, 1918, the Home was certified to operate as a Special Industrial School for Roman Catholic 'mentally defective' boys and girls, allowing it to receive children placed under detention by the courts. The School was licensed to accommodate children aged five or over, up to a maximum of 73 boys and 46 girls. On 26th September of the same year, the provision limiting the number of inmates was removed. On 13th October, 1920, the School was re-certified as being for boys only, still with a limit of 119 places. 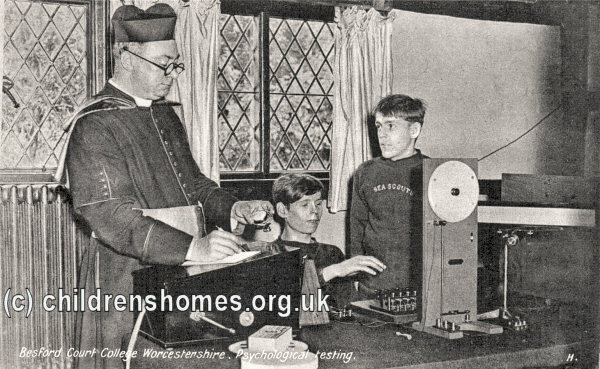 In July, 1925, St Joseph's School at Sambourne, near Studley, Warwickshire, was certified for operation as the Junior Branch of Besford Court. The combined capacity of the two establishments was set at 179 places. In May, 1933, the total number of places was raised to 380. From the late 1920s, Besford Court was sometimes referred to as Besford Court Catholic Mental Welfare Hospital for Children. In 1933, Besford Court became a Special Approved School, one of the new institutions introduced by the 1933 Children and Young Persons Act to replace the existing system of Reformatories and Industrial Schools. The School accommodated up to 119 boys, aged from 7 to 12 at their date of admission, who were categorised as 'high-grade, feeble-minded boys and those exhibiting unstable conduct'. By 1936, it had been decided that the use of Special Approved Schools for such children should be discontinued and that no further admissions should take place. On 12th January, 1937, the School gave notice of its intention to resign its Approved School status. 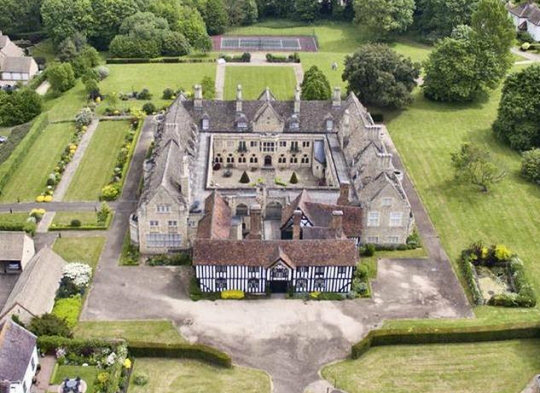 The establishment continued in operation, sometimes referred to as Besford Court College, and still providing training for 'high-grade, mentally defective boys' aged from 7 upwards. The institution finally closed in 1996. In 2001, the property was divided up to create eight private houses. Former Besford Court School for Roman Catholic Mentally Defective Boys, Defford. Birmingham Archdiocesan Archives, Cathedral House, St Chad's Queensway, Birmingham B4 6EU. Holds the School's extensive archives including Minutes, Registers, Log books, Pupil records, Correspondence, Photographs etc. (1917-1996).